Daniel, the son of Capt. Dan Buckley Jr., is our youngest crew member and a fourth generation Mate-in-Training. He began his career cleaning the buckets and scrubbing the decks. On occasion he's been given the responsibility of collecting spent bait cups. In 2015, Danny was offered a promotion! Danny was charged to man the hose during post charter cleanup! 2015 brought Danny opportunities to hone his fishing skills with his brand new custom rod from Capt. Neil. 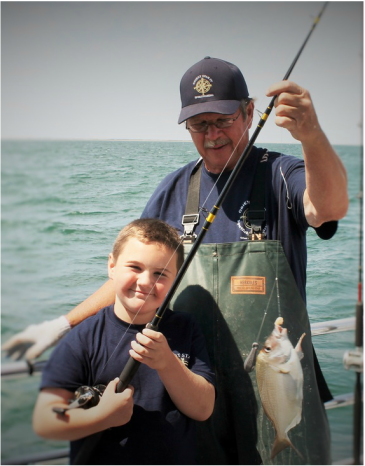 Under his Dad's watchful eye, Danny learned how to tie rigs, and understand how to fish for different kinds of fish around the North Fork of Long Island and even at far away places like Montauk!